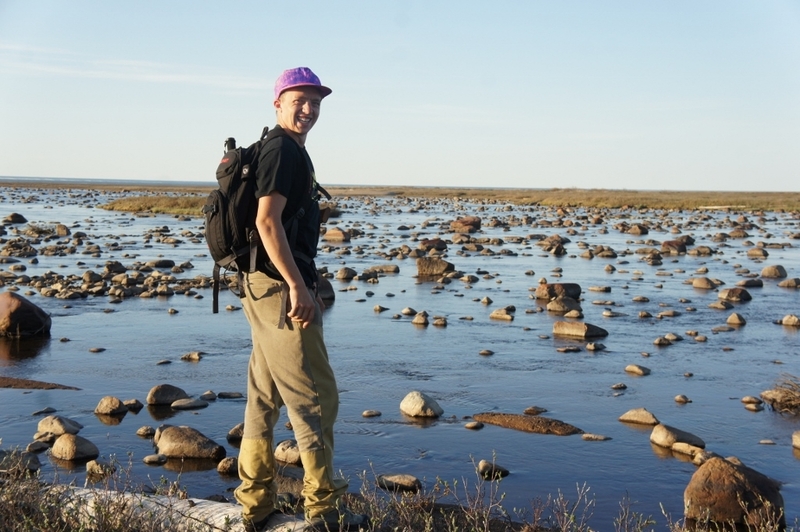 The two Johanns flew to Hudson Bay this week to take a look at the clarity of the water and vegetation growth. 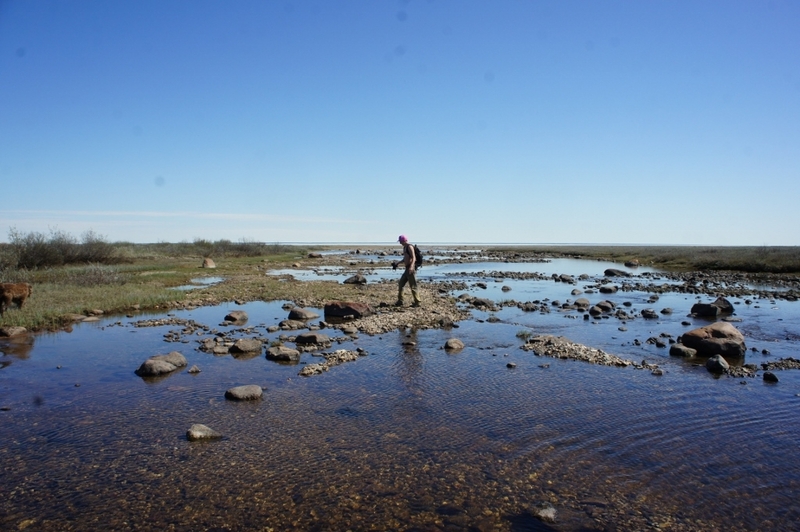 In conversation with locals that have lived up there for 60+ years we were told that Hudson Bay is much clearer before the winter snow melts and the Nelson and Hayes rivers start to dump silt into the Bay. We were also told you can see things on the ground better before the leaves come out and the grass grows. As part of the preparation for our Explorers Club flag expedition they flew to Nanuk Lodge via Gillam and Winnipeg. The owners of Nanuk Lodge, Churchill Wild Polar Bear Tours, let us use the runway and a cabin. The tourist season hasn’t started yet and there was nobody there. 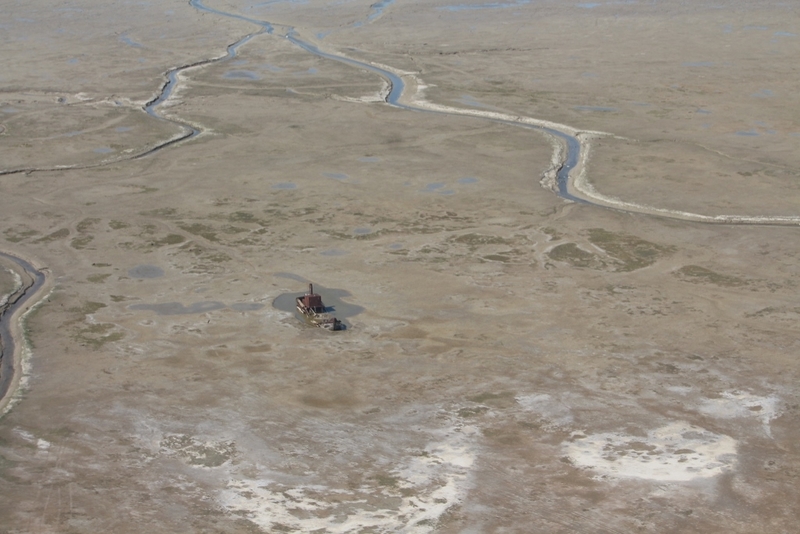 They used a high resolution video camera to test taking images of the ground for later analysis, walked over the tidal flats and through some rivers, and flew over York Factory (which is still uninhabited from the winter closure). The ice is still on Hudson Bay and it will take months for the Hudson Strait to open up.